With a double layer system for reduced friction on the skin and blister-free performance, the 1000 Mile Ultimate heavyweight ladies walking socks ensure a combination of comfort and breathability during long walks or exciting hikes in the mountains. They are suitable for 3 and 4 season walking in all boots and have a special Tactel® inner layer with moisture wicking properties to keep your feet cool and fresh. Extra support is provided by arch bracing, whereas a ribbed outer layer gives you added volume, insulation and warmth. 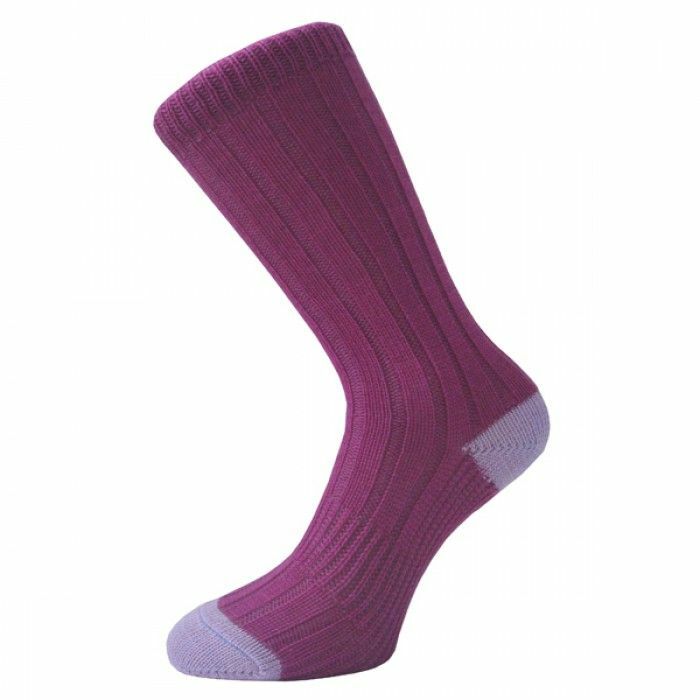 for submitting product information about 1000 Mile Ultimate Heavyweight Ladies Walking Socks We aim to answer all questions within 2-3 days. for submitting product information about 1000 Mile Ultimate Heavyweight Ladies Walking Socks. We aim to answer all questions within 2-3 days. If you provided your name and email address, we will email you as soon as the answer is published. for submitting product review about 1000 Mile Ultimate Heavyweight Ladies Walking Socks.